try to master the stealth-mode front-door tip-toe method to see who's there, but that isn't ideal. That's what smart doorbell manufacturers want you to think, at least. 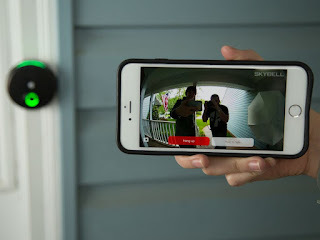 These assorted Wi-Fi doorbells, ranging in price from $179 to $249, all offer built-in security cameras, microphones and speakers so you can see -- and even talk to -- visitors from your phone either on Wi-Fi or a cellular network. It's a seemingly-handy hunk of tech, but smart doorbells are a budding category and the earliest models had some significant flaws. Still the market is growing, with a number of new and intriguing options -- check 'em all out here. The Nest Hello is the Google company's first smart doorbell. Pricing information hasn't been released yet, but the Hello should be available starting in early 2018. The Hello has HD live streaming, motion sensing, free Person Alerts and optional Familiar Face Alerts (only available if you subscribe to the Nest Aware cloud storage service). Basically, it has a lot of the same smart functionality as Nest's IQ Indoor and Outdoor cameras. We can't wait to test one to see how it compares to models from Ring, August and SkyBell. SkyBell's $199 (£155, AU$265) HD Wi-Fi Video Doorbell is my current favorite. 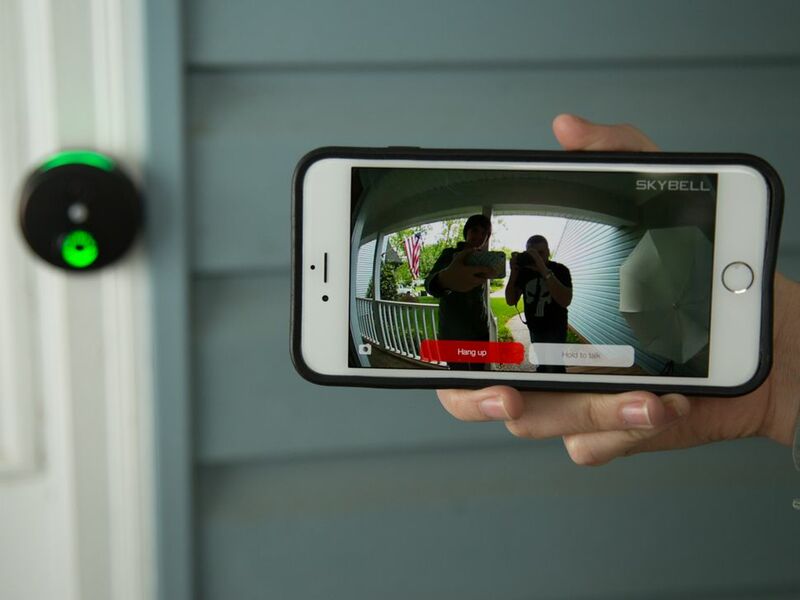 It has 1080p HD resolution, two-way talk, push notifications, a hard-wired setup and it's compatible with standard mechanical doorbell chimes. It also offers live streaming and motion-sensing capabilities, as well as smart home integrations with Amazon Alexa, IFTTT and Nest. But the best part is the complementary cloud storage -- August and Ring charge for this feature but SkyBell still offers it free of charge. 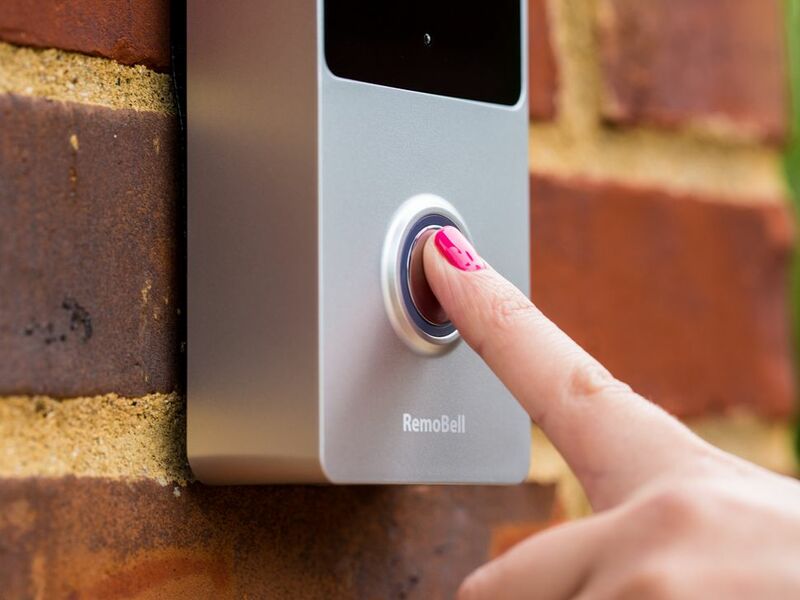 Unlike the Ring Video Doorbell and the Ring Video Doorbell 2's flexible battery or hardwired installation, the RemoBell only runs on batteries. Specifically, it takes six AA batteries to power this thing -- no fancy rechargeable design here. It also has 720p HD resolution and no current smart home partnerships and costs $199, £155 or AU$265. 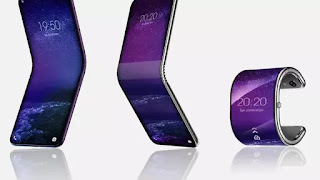 Considering the long list of features offered by other brands, the RemoBell either needs to introduce new options or reduce its price to stay competitive. August's $199 (£155, AU$265) Doorbell Cam Pro is a second-generation model with 1,280x960-pixel high-definition (HD) resolution and on-demand live streaming capabilities. 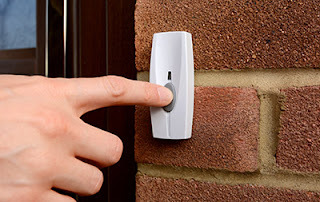 You have to connect it to your existing doorbell wires and it will only work with traditional mechanical chimes, but it's a decent buzzer overall. Beyond its solid HD live feed, the Doorbell Cam Pro also works with August's Smart Lock Pro and related accessories. Available on the same Android or iPhone app, fans of multiple August products will find this integration especially useful. Its large size and $5 monthly cloud storage fee might be deal breakers, though. The $179 (£140, AU$235) Ring Video Doorbell is a 720p HD model that's powered by your existing doorbell wires or the included rechargeable battery. While the battery does allow for a more flexible install, you do have to remove the entire faceplate when you want to recharge it. That means you won't be able to keep an eye on your front door every time you charge this buzzer -- which will happen more quickly if you regularly use battery-draining features such as the live feed. 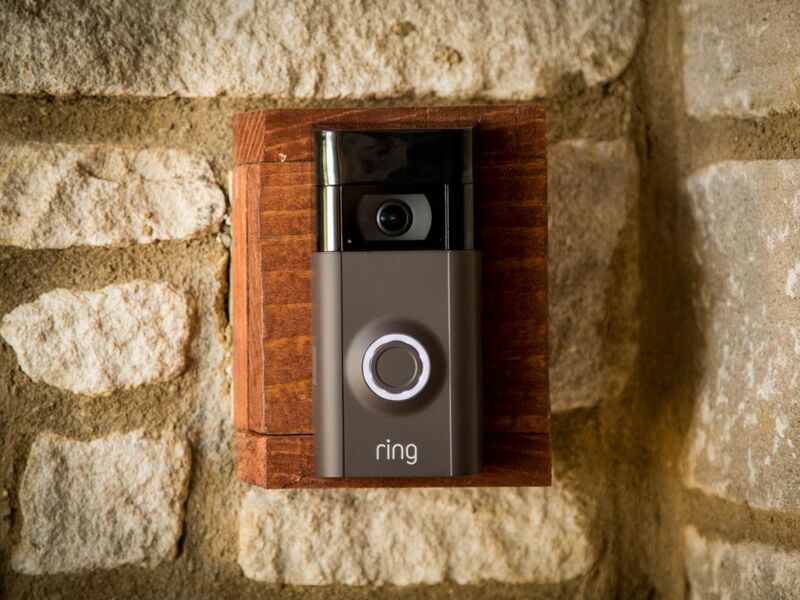 The $199 (£155, AU$299) Ring Video Doorbell 2 has 1080p HD resolution and an entirely new battery design. Specifically, it has a removable, rechargeable battery. So, unlike the original Video Doorbell, you don't have to uninstall this buzzer's faceplate to charge it. Instead, simply take out the battery, charge it and put it back. You can also buy an extra battery pack for just $29 so you never have to wait to use it. 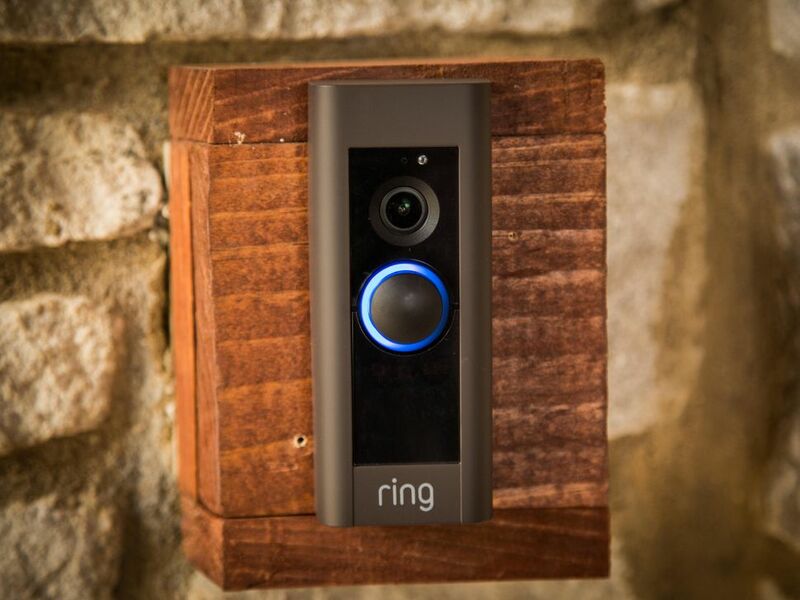 The Ring Video Doorbell Pro costs $249, £195 or AU$325. Like the SkyBell HD, it has 1080p video quality. This hardwired-only model also offers four interchangeable face plates and motion zones that you can customize to suit your needs. That means that you can ask the Ring app to ignore street traffic but pay attention to anything that gets close to your front door, a neat add-on security feature designed to enhance overall usability. And at just 1.9 inches wide, this model is also smaller than most smart doorbells. That doesn't mean it will definitely fit on your doorframe, but it's much more likely to.